Steven Michael Paulson passed away after a valiant battle with lung cancer. 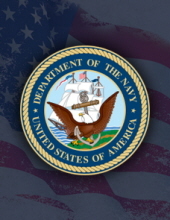 Steven was born in Napa, California and served in the U.S. Navy. He enjoyed time with his family, camping, fishing, hunting, riding, and fixing motorcycles. He loved spending time in the mountains and would move mountains to help his family or friends. He loved making people laugh and was a teller of tall tales. Steven is survived by his loving wife, Glenda Paulson; daughter, Jennifer Chapa (Lisa); and grandchildren, Annabel Pacheco, Anthony Pacheco, Monyca Mata. He is also survived by his mother, Antoinette Paulson; sister, Joyce Paulson; nieces, Shawna Davis (Tim), Paula Webb, Amber Porter, and all of his bonus family. Preceded in death by his father, Wesley Paulson; and sister, Debra Paulson. His generous spirit and laughter will be missed by all who knew him. Friends and family are invited to his funeral service on Friday, December 14th at 3:00 p.m. at Eagle Point National Cemetery 2763 Riley Road in Eagle Point (541) 826-2511. The family has designated Bikers Against Child Abuse Bigfoot Chapter, PO Box 570, Phoenix, OR 97535 for memorial contributions. To send flowers or a remembrance gift to the family of Steven Michael Paulson, please visit our Tribute Store. "Email Address" would like to share the life celebration of Steven Michael Paulson. Click on the "link" to go to share a favorite memory or leave a condolence message for the family.